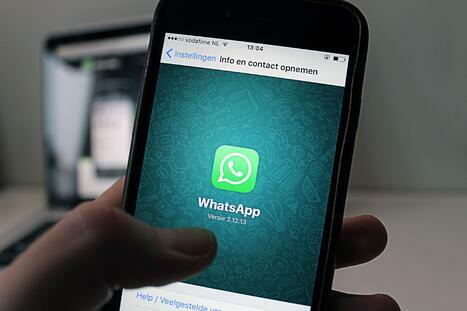 WhatsApp is used by more than 1.5 billion people worldwide and around 70 percent are active every day. WhatsApp is the most popular messenger service along with Facebook Messenger and offers a high reach. But what can you do with WhatsApp in recruiting? And what advantages does it bring to the HR department? In this article, you will learn how successful WhatsApp can be for your business and what benefits the top messaging app can offer to you in recruiting. You may already know WhatsApp from private use, like using it to stay in touch with your friends and family. But have you ever thought about using it for your business? WhatsApp Business makes it easy for small businesses in particular to communicate with their customers (currently only available for Android). With messaging tools, you can save texts you frequently send to customers as quick responses, so you can send your customers an immediate response. WhatsApp Business statistics show whether messages were delivered successfully and how many were actually read. It allows you to set up your own company profile with information about your company such as company location, email, opening hours, a company description, and your website. WhatsApp Business works in a similar way to the normal WhatsApp Messenger. However, it is more suitable for self-employed individuals or small businesses. In HR Marketing, you can use WhatsApp Business to inform your candidates about your company and attract them. You can send a broadcast with a newsletter containing job offers, news about your company, and events to all your candidates. You can also create mobile talent pools by simply opening a group on a specific topic on WhatsApp. In addition, WhatsApp does not require login data or opening an email inbox, you can start typing immediately. If your candidates have any questions, they will be shown immediately on your smartphone display, so that a quick and uncomplicated answer process is possible. Appointments can also be made quickly and easily and entered directly into the smartphone calendar. How can I get the most out of WhatsApp Business? Let your potential candidates know what life looks like in your company. Provide exclusive insights into everyday working life, clarify questions, and help applicants make decisions. In this way you can exclude people who are looking for a different type of office environment. You can also send mobile job offers to your interested candidates, both via a newsletter and via a specific WhatsApp service. Applicants can register for the desired areas and receive selected job offers directly on their smartphone. Meanwhile, your potential candidates can also receive job offers through a specific keyword. If you have set up a bot on WhatsApp, candidates will be sent suitable job offers for certain keywords so that they can apply to them immediately. Do you want to learn more about how to effectively use social media channels in your recruiting process? We will gladly show you further best practice examples and concrete implementation in the Talention software. Just ask for a demo here and someone will get in touch with you shortly. Request a demo now.